All close-out sales are AS-IS and final. or are items we no longer have room to inventory. All items are new old stock. Pricing for most items on this page are less than 1/2 (some less than 1/3!) of original price. In fact, I just recently cut most items here in 1/2 from the previous discount price! Get a bargain for some necassary parts or experimental gear. When it's gone it's gone, not to return to this page. 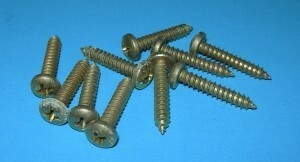 These items are occupying a couple of shelving units we need for other products. Help us de-clutter and free up some much needed space and we'll help you get a screaming good deal! 0871 6 Flybar Paddles from Miniature Aircraft. Raptor Rotor Bolt, R30 'Til It's Gone! Raptor Fuel Tank, R30V1 'Til It's Gone! RaptorTail Blade Set 'Til It's Gone! Raptor 10T Pinion Gear, R50V2 'Til It's Gone! Raptor Engine Mount 30 Heli 'Til It's Gone! Raptor FEATHERING SHAFT (2) 'Til It's Gone! Raptor Tail Pitch Slider 'Til It's Gone! Raptor Linkage Rod 'Til It's Gone! Raptor GUIDE PULLY ASSY 'Til It's Gone! Raptor Parts Ball Bearing, d6,D10,W3 'Til It's Gone! Raptor Parts Bearing Upgrade Kit 'Til It's Gone! Raptor Bearing Upgrade Kit. 20 various bearings in package. Raptor Parts Ball Bearing, d3,D8,W4 'Til It's Gone! Raptor Parts Ball Bearing, d5,D11,W5 'Til It's Gone! Raptor Parts Ball Bearing, d6,D15,W5 'Til It's Gone! Raptor Carbon Graphite Base Plate 'Til It's Gone! Raptor Heli Parts Carbon Tail Boom Brace 'Til It's Gone! Raptor Heli Parts MAIN SHAFT 'Til It's Gone! Raptor Heli Parts CLUTCH 'Til It's Gone! Raptor Heli Parts MAIN SPUR GEAR 'Til It's Gone! Main Spur Gear, R30, ONLY 1 LEFT IN STOCK AS OF 3/3/17 4:08PM. These crystals are new old stock from a buy out. Might come to you as simple yellow carded PRC (generic) or Blue Arrow. When they are gone, they are gone. If you don't see a channel listed, it's because we have sold out of it. Get them CHEAP now! These crystals should work well with Berg, GWS, Blue Arrow and Plantraco RX's. All TIG ('Til It's Gone) items are AS-IS, NO RETURNS, PACKAGES ARE DIRTY. Total crystals at this moment (10/10/2013) is 88. At this moment, every channel except 59. You can own the whole set for $60. Call in during business hours if you want it all. I see these crystals listed on other sites for $2.50 each and up. Raptor Heli Parts BELT 'Til It's Gone! Remember the Road Kill Series? This is the high power dual motor setup recommended in some of those models. Originally $22.00. This item is one kit. I have two in stock at the time of this posting. 'TIL IT''S GONE! Was $12 - GWS Direct drive 300 power system is a perfect match for your traditional direct s-300 application. Due to reduced battery and motor weight a S-300 is often an upgrade to a S-400 ship. Included is a direct drive prop and spinner press on system. The only difference in these motors is the prop they come with. You might order the other two props so you can try all the combo''s on your ship. Left over boards from shop project. New boards from 4channel 72mhz radios. Get a bargain for your experiments here. Comes just as you see it, no crystal (use GWS FM TX) or connectors. Radio Handle for Custom Projects 'TIL IT'S GONE! Use as a pull or handle for your special project. New parts removed from radio systems as part of a project. Get a bargain on these left over items. 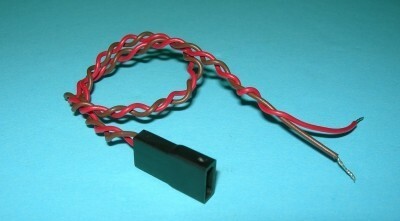 Model 4016-3, 40 amps, Bec up to 12 Cells (2.5watts), 62x30x12mm, 31g without conductors, 45g with. 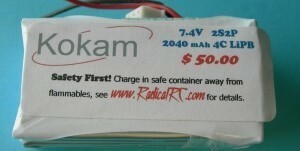 Bec 3 amps peak 2.5 watt max. Great brushless sensorless control. Top brand! Model 5024-3, 7-24 cells, 50 amp. Model 7524-3, 75 amp SOLD OUT. 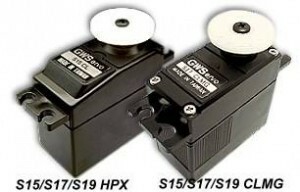 High torque servo in standard size economy high torque servo. Universal connector. 2 available at time of listing. Regular price $18.00. Photo for example, looks like that. ;-) Note, this is not a fast servo, just high torque. 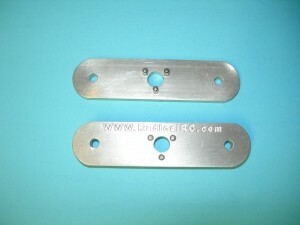 Special made wrench for Norvel 25 and 40 size engines. Locally machine shop made. Was $9. For some reason, we never had these online. Just discovered in inventory. We are overstocked on the "B", 4.43:1 only, gear ratio power systems. Get a bargain here until they are gone. Normally priced at $18. These power systems have the most efficient speed 300 motors you can get. All of them use the same motor at different gear ratios. GWS says not to load them over about 6 amps. However, I've had good luck loading them to near 8 amps. For this you'll have to do your own experimenting. The quality is high in these powerful motors. They perform best on 7 or 8 720 NiMh or RRC 2x1800 Polymer packs. Remember, the higher the ratio the greater the static thrust at a lower speed. Choose wisely. By purchasing a few different props you'll be able to make adjustments to static, inflight thrust and pitch speed of your power system and come up with the best combination of performance for your bird. Carbon Filled 5 x 5 E-Prop with 5mm thru hole 'TIL ITS GONE! 5 x 5 inch with 5mm through hole (It''s actually 4.81mm so the press on spinner fits it tightly). This looks like a Gunther but it's carbon filled. Much stiffer than a Gunther or Maxx prop. I don't have many and no resupply. Note, I'm using the Maxx image here because it looks identical (except no Maxx logo) and I don't want to fool with taking a new shot for a TIG item. 5 props in stock as of 11/13/11. Sorry, sold out! Black Diamond 301 Motor/Mount/Heat Sink/Gearbox 5.33:1 'TIL IT'S GONE! Our killer Radical Edge 540 motor system in a higher gear reduction for 8-6 / 9-4.7 on 3S. Was $38. Worlds Highest power to weight ratio Speed 300 motor/mount/heat sink/gearbox combo which is suggested in the Vertigo Kit. Suggested pack is 10-720 NiMH or 3S 1200 HD Lipo, Prop 8-6 or 9-4.7 GWS, you'll be around 16 oz static thrust at 8 amps, 35mph pitch speed all at front of charge. High power system gives you ultimate power to weight ratio. Assembly weight without prop is 67g/2.4oz. Fox XL anodized aluminium combination motor mount/gearbox frame/heat sink (look in "Electric Flight Accessories/Motor Mounts & Heat Sinks"). Note: Prop is for illustration only. Motor asm. 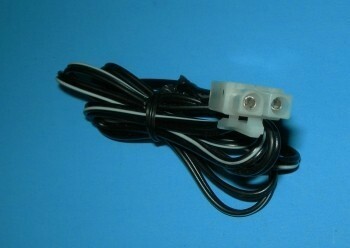 only without heat sink motor mount available below. Blow Out Special! 100 pc pack of 11" x 5/16 black nylon zip ties. We ordered these by error are passing them on to you at a bargain price. I forget exactly how we got these in stock. ;-) But anyway, they are priced at a bargain here. 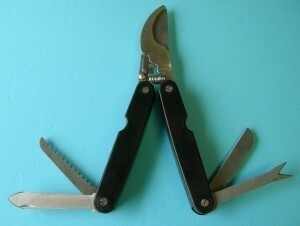 These are actually a foldable pocket multi-tools with loppers for trimming small limbs and plant stems. Not a bad thing to have around. Clear me out of them, Please!